Laser-written waveguides created inside transparent materials are important components for integrated optics. Here, we demonstrate that subsurface modifications induced by nanosecond pulses can be used to fabricate tubular-shaped “in-chip” or buried waveguides inside silicon. We first demonstrate single-line modifications, which are characterized to yield a refractive index depression of ≈2×10−4 compared to that of the unmodified crystal. Combining these in a circular geometry, we realized 2.9-mm-long, 30-μm core-diameter waveguides inside the wafer. The waveguides operate in a single-mode regime at a wavelength of 1300 nm. We use near- and far-field imaging to confirm waveguiding and for optical index characterization. The waveguide loss is estimated from scattering experiments as 2.2 dB/cm. K. M. Davis, K. Miura, N. Sugimoto, and K. Hirao, “Writing waveguides in glass with a femtosecond laser,” Opt. Lett. 21, 1729–1731 (1996). F. Chen and J. R. V. Aldana, “Optical waveguides in crystalline dielectric materials produced by femtosecond-laser micromachining,” Laser Photon. Rev. 8, 251–275 (2014). A. Demircan, C. Reinhardt, U. Morgner, and W. M. Pätzold, “Cascaded-focus laser writing of low-loss waveguides in polymers,” Opt. Lett. 41, 1269–1272 (2016). S. Nolte, M. Will, J. Burghoff, and A. Tuennermann, “Femtosecond waveguide writing: a new avenue to three-dimensional integrated optics,” Appl. Phys. A 77, 109–111 (2003). A. Courvoisier, M. J. Booth, and P. S. Salter, “Inscription of 3D waveguides in diamond using an ultrafast laser,” Appl. Phys. Lett. 109, 031109 (2016). S. J. B. Yoo, B. Guan, and R. P. Scott, “Heterogeneous 2D/3D photonic integrated microsystems,” Microsyst. Nanoeng. 2, 16030–16039 (2016). S. Gross and M. J. Withford, “Ultrafast-laser-inscribed 3D integrated photonics: challenges and emerging applications,” Nanophotonics 4, 332–352 (2015). A. Kowalevicz, V. Sharma, E. Ippen, J. Fujimoto, and K. Minoshima, “Three-dimensional photonic devices fabricated in glass by use of a femtosecond laser oscillator,” Opt. Lett. 30, 1060–1062 (2005). A. A. Said, G. Li, K. A. Winick, M. Dugan, and P. Bado, “Waveguide electro-optic modulator in fused silica fabricated by femtosecond laser direct writing and thermal poling,” Opt. Lett. 31, 739–741 (2006). G. D. Marshall, A. Politi, J. C. F. Matthews, P. Dekker, M. Ams, M. J. Withford, and J. L. O’Brien, “Laser written waveguide photonic quantum circuits,” Opt. Express 17, 12546–12554 (2009). R. M. Vázquez, R. Osellame, D. Nolli, C. Dongre, H. van den Vlekkert, R. Ramponi, M. Pollnau, and G. Cerullo, “Integration of femtosecond laser written optical waveguides in a lab-on-chip,” Lab Chip 9, 91–96 (2009). Y. Bellouard, A. Champion, B. Lenssen, M. Matteucci, A. Schaap, M. Beresna, C. Corbari, M. Gecevicius, P. Kazansky, O. Chappuis, M. Kral, R. Clavel, F. Barrot, J. M. Breguet, Y. Mabillard, S. Bottinelli, M. Hopper, C. Hoenninger, E. Mottay, and J. Lopez, “The Femtoprint project,” J. Laser Micro/Nanoeng. 7, 1–10 (2012). S. Weimann, A. Perez-Leija, M. Lebugle, R. Keil, M. Tichy, M. Gräfe, R. Heilmann, S. Nolte, H. Moya-Cessa, G. Weihs, D. N. Christodoulides, and A. Szameit, “Implementation of quantum and classical discrete fractional Fourier transforms,” Nat. Commun. 7, 11027 (2016). M. Heinrich, R. Keil, F. Dreisow, A. Tunnermann, A. Szameit, and S. Nolte, “Nonlinear discrete optics in femtosecond laser-written photonic lattices,” Appl. Phys. B 104, 469–480 (2011). T. Meany, M. Gräfe, R. Heilmann, A. P. Leija, S. Gross, M. J. Steel, M. J. Withford, and A. Szameit, “Laser written circuits for quantum photonics,” Laser Photon. Rev. 9, 363–384 (2015). O. Tokel, A. Turnalı, G. Makey, P. Elahi, T. Çolakoğlu, E. Ergecen, Ö. Yavuz, R. Hübner, M. Z. Borra, I. Pavlov, A. Bek, R. Turan, D. K. Kesim, S. Tozburun, S. Ilday, and F. Ö. Ilday, “In-chip microstructures and photonic devices fabricated by nonlinear laser lithography deep inside silicon,” Nat. Photonics 11, 639–645 (2017). B. Öktem, I. Pavlov, S. Ilday, H. Kalaycıoğlu, A. Rybak, S. Yavaş, M. Erdoğan, and F. Ö. Ilday, “Nonlinear laser lithography for indefinitely large-area nanostructuring with femtosecond pulses,” Nat. Photonics 7, 897–901 (2013). M. Chambonneau, Q. Li, M. Chanal, N. Sanner, and D. Grojo, “Writing waveguides inside monolithic crystalline silicon with nanosecond laser pulses,” Opt. Lett. 41, 4875–4878 (2016). I. Pavlov, O. Tokel, S. Pavlova, V. Kadan, G. Makey, A. Turnali, Ö. Yavuz, and F. Ö. Ilday, “Femtosecond laser written waveguides deep inside silicon,” Opt. Lett. 42, 3028–3031 (2017). G. Matthäus, H. Kämmer, K. A. Lammers, C. Vetter, W. Watanabe, and S. Nolte, “Inscription of silicon waveguides using picosecond pulses,” Opt. Express 26, 24089–24097 (2018). H. Terasawa, F. Tan, O. Sugihara, A. Kawasaki, D. Inoue, T. Yamashita, M. Kagami, O. Maury, Y. Bretonniere, and C. Andraud, “Light-induced self-written waveguide fabrication using 1550 nm laser light,” Opt. Lett. 42, 2236–2238 (2017). A. Schaap, Y. Bellouard, and T. Rohrlack, “Optofluidic lab-on-a-chip for rapid algae population screening,” Biomedical Opt. Express 2, 658–664 (2011). I. Pavlov, E. Dülgergil, E. Ilbey, and F. Ö. Ilday, “Diffraction-limited, 10-W, 5-ns, 100-kHz, all-fiber laser at 1.55 μm,” Opt. Lett. 39, 2695–2698 (2014). P. Elahi, G. Makey, A. Turnali, O. Tokel, and F. Ö. Ilday, “1.06 μm–1.35 μm coherent pulse generation by a synchronously-pumped phosphosilicate Raman fiber laser,” in European Conference on Lasers and Electro-Optics and European Quantum Electronics Conference (2017), paper CJ21. S. V. Rao, K. Moutzouris, M. Ebrahimzadeh, A. 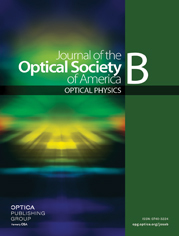 De Rossi, G. Gintz, M. Calligaro, V. Ortiz, and V. Berger, “Influence of scattering and two-photon absorption on the optical loss in GaAs-Al2O3 nonlinear waveguides measured using femtosecond pulses,” IEEE J. Quantum Electron. 39, 478–486 (2003). J. Xia, A. M. Rossi, and T. E. Murphy, “Laser-written nanoporous silicon ridge waveguide for highly sensitive optical sensors,” Opt. Lett. 37, 256–258 (2012). Fig. 1. (a) Pulsed laser that operates at 1.55 μm, along with an infrared (IR) imaging system form the experimental setup. The ns laser is used for in-chip microstructuring and photonic device fabrication, while the IR transmission microscope is used for characterization. MOPA, master-oscillator power amplifier; HWP, half-wave plate; PBS, polarizing beam splitter. (b) IR transmission microscope image of an in-chip single-line modification. The laser enters from the polished side surface (x−y plane) and propagates along the z axis. The sample is scanned along the optical axis to form long rod-like modifications. Fig. 2. (a) Illustration of the longitudinal-writing scheme to form depressed-cladding waveguides deep inside Si. We first form concentric circles at a specific depth by iteratively rotating the sample. (b) Same procedure used at different depths along z. (c) IR transmission microscope image showing the circular cross-section from a waveguide array, positioned 500 μm from the top surface. (d) IR image of the top view of a single waveguide, where rod-like structures similar to that shown in Fig. 1(b) are used to form the cladding. (e) FDTD simulation showing the mode field profile. Fig. 3. (a) Far-field image of light, used as a control experiment, is acquired after passing through unmodified silicon. (b) Far-field image from the exit port of a waveguide. (c) Near-field image of the optical mode from the waveguide output port. (d) Far-field intensity profile data measured from the waveguide output (blue crosses) and the corresponding control experiment (black circles). The blue solid curve is a double Gaussian fit to the waveguide output profile. The black solid curve is a Gaussian fit to control. (e) The waveguide loss is characterized with scattering data (orange circles), filtered with a 10-pixel moving average. The blue curve shows the fitted linear curve to the logarithmic plot.